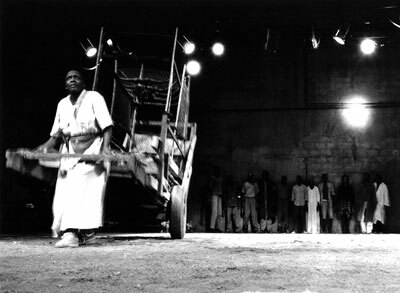 With The Royal Court and in partnership with the National Theatre of Uganda I co-directed ‘Maama Nalukalala N’dezze Lye’ (Mother Courage and her Children) by Bertolt Brecht in Kampala with a Ugandan cast in the late 1990’s. This production was designed by Michael Pavelka and toured to America and South Africa, accompanied by a Theatre and Education programme. 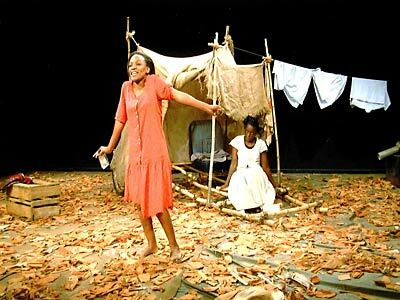 ‘Maama Nalukalala’ is the first official translation of a play by Brecht into an African language, in this instance Luganda, which is the language of the Baganda people who live in and around Kampala. 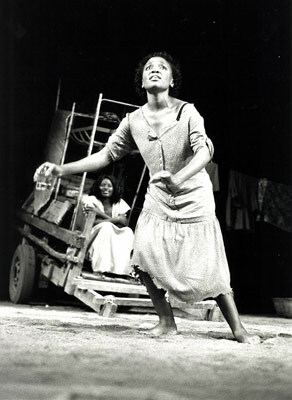 The original production featured the late Rose Mbowa as Mother Courage, Professor of Drama at Makerere University, and one of Uganda’s leading writers and performers. I have taken student work all over the world. Work has ranged from site-specific performance in a disused factory in Bruno with the Janececk Academy to a five-handed version of Twelfth Night with students from the Guildhall School of Music and Drama, where I taught for ten years. This production was designed by Michael Pavelka and toured to China and Mongolia accompanied by student led workshops and street theatre in Ullaanbaatar (see photographs above and below). 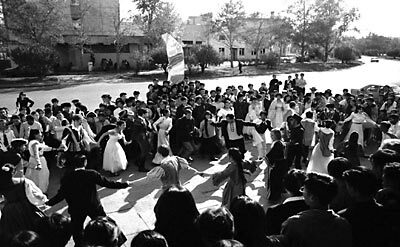 This event opened the first ever Anglo/Mongolian Shakespeare Festival.